The United States put forward a draft resolution Monday following alleged toxic gas use in the rebel-held town of Douma that killed at least 40 people and prompted President Donald Trump to indicate that a decision could be taken soon on US military action. Russia put forward its own proposal in January that has been rejected by Western powers who say it would give the Syrian government an upper hand over investigations on its territory. There was no formal request for a vote, however, by early evening on Monday. The US push for a new inquiry came amid heightened tensions over possible US military action in Syria, with Trump saying “major decisions” would be taken within 48 hours. 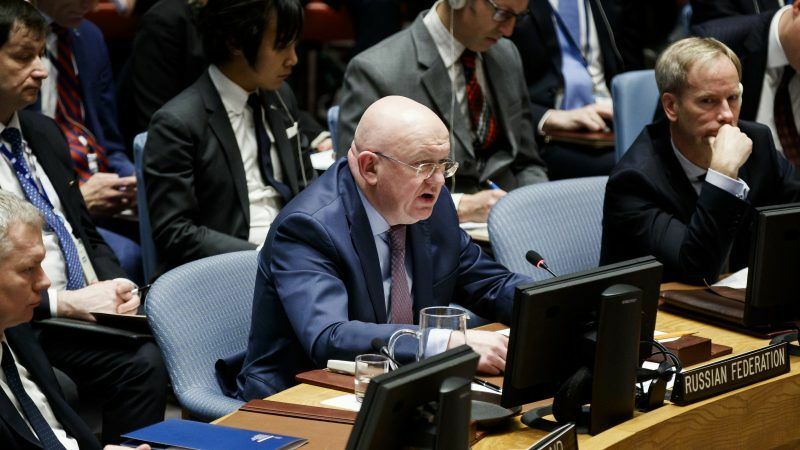 “From what we hear now, I am afraid they are looking for a military option, which is very, very dangerous,” Russian UN ambassador Vassily Nebenzia told reporters following an emergency council meeting. 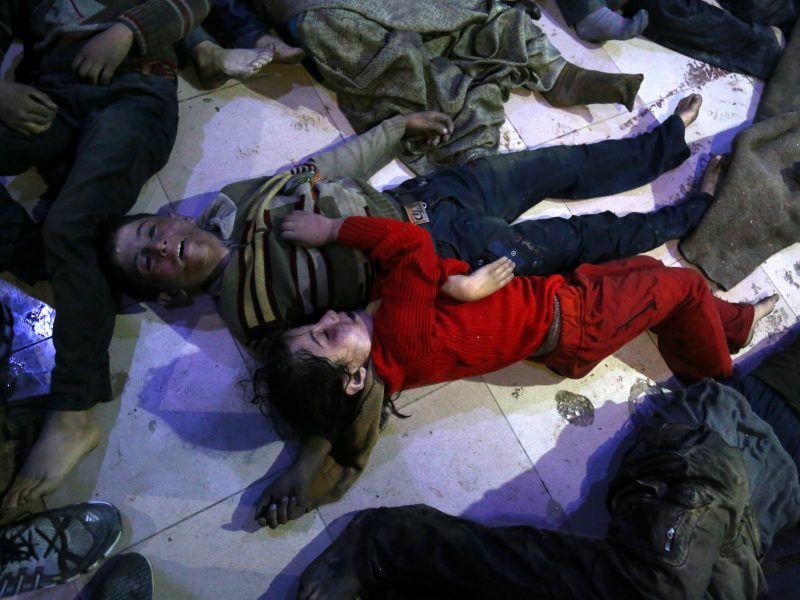 Rescuers and medics in Douma say more than 40 people died after a “poisonous chlorine gas attack” late Saturday in the last rebel-held pocket of Eastern Ghouta. At the council meeting, Nebenzia warned that a US military strike against Syria could have “grave repercussions” and stressed that the use of chlorine or sarin had not been confirmed in the attack. Haley urged the council to take action, but warned that the United States was ready to respond, with or without the United Nations. “We have reached the moment when the world must see justice done,” Haley said. “History will record this as the moment when the Security Council either discharged its duty or demonstrated its utter and complete failure to protect the people of Syria,” she added. The Russian envoy said Moscow had told the United States that it would not allow its forces on the ground in Syria to be put at risk. Moscow and Damascus have fiercely denied that chemical weapons were used in Syria. A draft resolution requires nine votes to be adopted and no vetoes from the five permanent members – Britain, China, France, Russia and the United States. Russia has used its veto power 11 times at the council to block action targeting its Syrian ally. “The US resolution is pretty obviously a bait for the Russians, who will have no choice but to veto it,” said Richard Gowan, a UN expert from the European Council on Foreign Relations. “That will give the US and possibly France an excuse for military action,” said Gowan. Upcoming UN Security Council meeting on Syria will in all probability follow the usual script. Meeting start. US/UK/France accuse. Russia denies and vetoes. Others talk. Meeting end. Russia killed off a previous UN-led probe in November by vetoing the renewal of its mandate. The United States is proposing to establish the new panel for one year to work with the Organisation for the Prohibition of Chemical Weapons to identify perpetrators of chemical attacks. a pretext for military action. To take part in the divvy of Syrian gas and oil. Good articles on this in Deutsche Wirtschafts Nachrichten. The hypocrisy of the West is staggering.